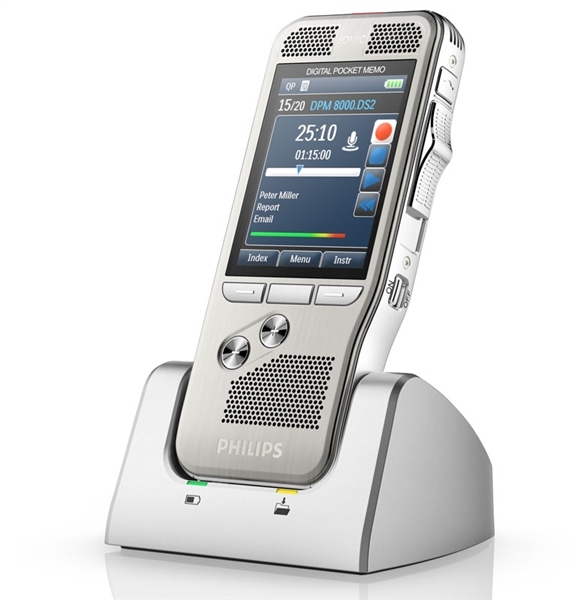 Philips SpeechAir Dictation Recorder with WIFI and touch screen. SpeechAir is the most advanced dictation recorder ever made. The Philips SpeechAir is a dictation recorder, barcode scanner, camera, and speech recognition solution that fits into one tiny package. The Philips SpeechAir incorporates designs from the top 3 products on the market today. SpeechAir is designed similarly to the iPhone, includes well known features of the Philips DPM8000 and runs the most widely used mobile operating system Android. If you rely on dictation everyday to complete documents and create letters, you will find that the Philips SpeechAir is the device you have been waiting for. The SpeechAir records dictation just as you are accustomed to, but in HIGH quality digital DS2 format using 3 built in microphones for noise cancellation. The 360 degree microphone design helps the SpeechAir excel with speech recognition accuracy. When using the Philips SpeechAir with the INCLUDED speech recognition you are guaranteed high quality results. Dictating in a noisy office environment, outside, or inside the car is no longer a concern for speech recognition users. 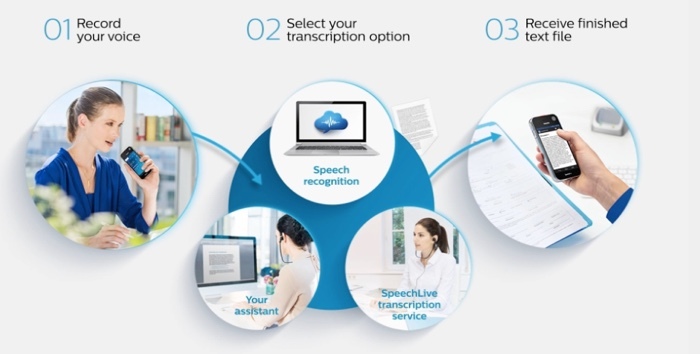 What really sets the SpeechAir apart from any other dictation recorder is the delivery options available to the user. With WIFI, Bluetooth and USB connectivity the author can send dictation from anywhere! Use the WIFI in the office, airport, coffee shop, or tether the SpeechAir to your smartphone internet to send your dictation. No more waiting to get your dictation done. 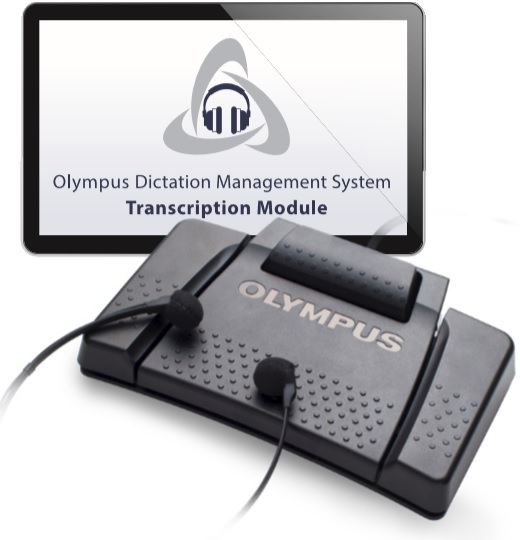 You also have the ability to download the dictation via USB using the provided docking station or USB cable. The most advanced feature of the SpeechAir allows a user to dictate a recording, press send, and within seconds, receive an email directly to the SpeechAir with the speech recognized document attached. You literally have the ability to create documents using the SpeechAir without ever typing a word! The built in 5 megapixel camera allows professionals to scan linear and QR style barcodes to capture relevant demographics and data that needs to be associated with the dictation and final document. The camera is perfect for insurance claims adjusters that need to visit multiple locations, take pictures of damaged property, dictate the report and deliver it to the cloud for further processing. When security is of the utmost importance the Philips SpeechAir has you covered. The SpeechAir is able to encrypt recordings in real time using full 256bit AES encryption. There is no removeable media to be lost or stolen. The device can be locked down with PIN codes. For IT management, the device settings can be configured remotely, settings locked down, and WIFI restricted to specified networks. Device and file security is covered from every angle with the Philips SpeechAir. important applications on one single device.